I don't have time for cocky word salad. I just posted a video of John Kerry stating at least 7 was demo-ed. I guess you admit there is no evidence of cut columns. I can link to videos of the twin tower columns bowing inward and buckling to initiate collapse. 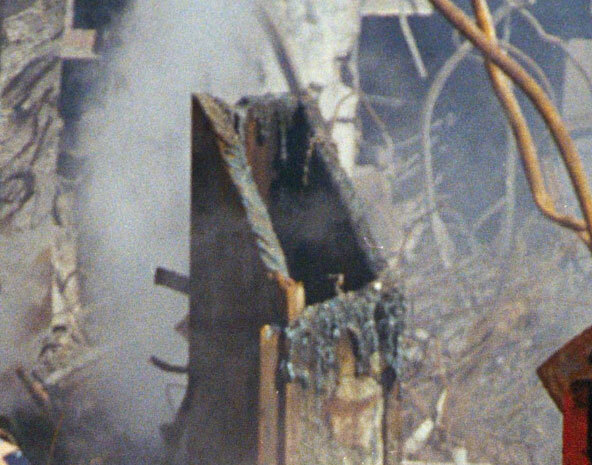 Can you link or post to a video of one WTC column being cut? Why would I be talking about the 2 towers? How does video of a politician equal physical evidence of cut columns by planted pyrotechnics at the WTC. Keeping going with the prapaganda from the charlatans of the truth movement and ignoring the actual video, audio, seismic, and physical evidence of the WTC. Ok, post a video of a WTC 7 column being cut. Or audio proof there was a detonation from WTC 7 with the force to cut the vertical columns. Seismic evidence? Bro, words of advice — you’re not going to get a logical argument on this topic with ole neutronflux. Can you form an actual example and argument. Or do you mean impossible as it it would be impossible for controlled demolition systems to survive the jet impacts and fires to initiate the collapse of each twin tower at the sites of the jet impacts. It's rather easy to give you an actual example. As to how the demolition was accomplished. That is by taking out the outer core columns every third floor and the corners of the perimeter. The molten metal found in the rubble was probably from use of thermite in the fire affected areas, used to initiate the collapses. After the collapses started explosives would have been used on the core columns to break the welds to ensure the collapse continued reliably and the sounds would be masked by the collapse itself. Most of the discharges would have been contained within the perimeter and those that weren't would be masked by the debris falling outside. However, it wasn't a perfect job and we do see some ejections. The amount of explosive needed to provide a concussion powerful enough to break the welds on the core columns is significantly less than that needed to cut through them. These charges could have been tamped to cause most of the energy to go into the column and reduce the noise level. The arguments made by debunkers like Mark Roberts, that the sound levels would be much higher if explosives were used, are simply bare assertions. Roberts and others like him do not consider methods like tamping and breaking the welds to accomplish the demolition. They don't do the calculations which show it is feasible to minimize the percussive noise to a level consistent with that of the collapsing material, while still generating more than enough force to remove the column by breaking the weld. That's how you take down buildings that size to fall into their own footprint. You shear off the columns with thermite at regular intervals. Picture from WTC1 ground zero. In your world an airplane caused that.